Anyone deep into their academic careers will have encountered at least three major forms of disease – descriptive, narrative, and argumentative. Yet, the word exemplification essay may catch many off-guard. 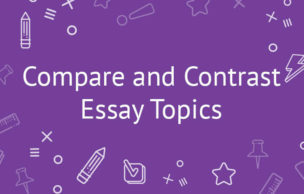 Now, you are not only about to learn the basics of an exemplification essay but also the way to come up with a great essay on your own. The words ‘exemplification essay’ may scare or put a few off, but it is actually quite simple for those who are already familiar with the argumentative type of essays. In an argumentative essay, an individual is trying to prove a point with the help of examples. Even though these examples, which may be in the form of facts or numbers, will come a long way towards helping an individual ascertain the argument, but incorporating them in the best possible way is extremely tough. The key aspect in any exemplification essay is the topic and it should be in the form of an argumentative essay. Ideally, the topic should be in such a way that the writer can present two sides of an argument. It does not make for a great essay if the writer has to choose one side alone. Furthermore, the topic should be in such a way that there are several key facts and figures that are capable of backing up the argument laid down by the essay writer. In essence, the writer should not be looking to persuade the reader with a topic. Instead, they should be laying down the facts which in turn would do the work. Are the gun regulations in the United States firm enough? Should one pursue a college degree over real world experience? Such topics will enable the writer to come up with both sides of the argument. At the same time, it is better to avoid the topics that are one-sided, touch on something personal, or describe the process. For the purpose of explanation, we would take up the task of writing an exemplification essay about the best X-Men character – Professor X. One should remember that this is not the kind of topic that I writer would encounter in this form an essay, but we have chosen this topic in order to provide an easy explanation. The process of brainstorming and planning can be included under the same process, as they are more or less similar. Here, the writer should come up with the relevant ideas for the project and note them down. This will help them get acknowledged with the writing process in a much better way. Now comes the process of planning the content, which can be done by writing down a short outline of the body section. This will include all the primary points that the writer intends to say along with the arguments that come in support. Now, let us look at the various aspects in detail. 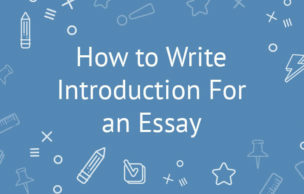 The introduction is one of the important parts of the essay, as it creates the first impression necessary to keep the interest over the course of the essay. The inexperienced writers often make a mistake with regard to coming up with the correct introduction – in terms of format and content. Usually, the introduction should be split up into two parts – the hook and the statement for the thesis. In such a way, the writer will be acknowledging the contents of the essay straightaway and this would make a huge impression. "A lot of people think about possessing the mutant superhuman powers. However, they fail to realise the immense responsibility that accompanies such special talents. Professor Xavier is someone who rises above other mutants in terms of the accomplishments. He stands tall compared to the compatriots. Professor X relies upon one key power in order to replicate all other powers, and this has helped him become the leader for the friendly relationships between humans and mutants." The body paragraph content occurs just below the introduction. Usually, the essays adopt a five paragraph format that is considered as the gold standard, but the writer need not adopt this structure unless they have been specifically instructed. The plan and outline created just before the start of writing the essay comes into the play at this stage. "Professor Xavier has made huge steps in terms of enhancing the relationship between humans and mutants. He has been able to do this through the work with the team of heroes and mutant children. His School for Gifted Youngsters focuses on helping the mutant teens and children to overcome the urge to misuse their powers and to use it in such a way that it benefits others. Xavier also concentrated on keeping these gifted youngsters away from humans during their teens, at time when their hormones could have produced erratic consequences. The X-Men – team of superheroes run by Professor Xavier – is primarily intended to create a good relationship between humans and mutants. It is used to show that humans can coexist with mutants without any fear." The conclusion takes up the same level of importance – if not more – as that of the introduction part. The writer will be summarising every point made in the body paragraph in this section. However, it is quite possible for a writer to overdo this section and go along with repeating the thesis statement over and over again. This is one of the primary reasons behind the failure of an exemplification essay. Instead, the writer should focus on a brief summary that helps finish the essay in an eloquent manner. It is imperative that the essay feels complete once the writer is done with the conclusion part. "Even though plenty of people fear at the powers within mutants, there is no doubt that people can actually benefit from these powers. The benefits can be vice versa, as Professor Xavier has been able to prove this using telepathy. The powers and the influences provided by him have helped enhance the relationship between mutant communities and humans. Xavier and his mutant heroes regularly fight against the prejudices placed on his people." Unlike in the introduction aspect, this section is not split up into further segments. Therefore, the writer should be precise and offer a great summary. Now you've got a pretty rough idea on how to write an exemplification essay. Follow our tips and remember that practice makes perfect. In other words, you will need time and practice to understand the fine dynamics behind a great structure and wording that wows the reader. Don't be scared of the word 'exemplification', all you have to do is follow some guidelines. Happy writing!